Pamela looks at her friend with wide eyes. “How did you respond?” she asks. It doesn’t matter who’s giving negative feedback, criticism is always hard to hear. And when it comes from your partner, it feels particularly personal. As a result, very few of us react well. In fact, most of us just make the situation worse. Like Jenn, we get all defensive, even if the criticism has some validity. That begs the question, how do you handle criticism in a productive way? You can’t avoid it, but it doesn’t have to be a nightmarish experience, and it doesn’t have to lead to a fight. 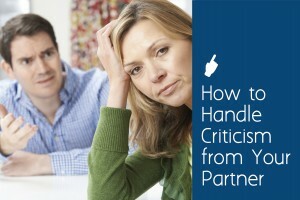 In fact, there’s a way to respond to criticism that will actually create a stronger bond between you and your partner. But before we get to that, here’s how you shouldn’t handle criticism. Often, our first reaction is to turn the criticism on the critic. Rather than hearing what they have to say, we do what Jenn did. We accuse the critic of being negative and non-supportive. Then we follow up with a strong defense. First, it will tear up your intimacy. 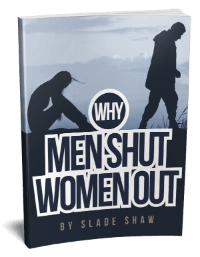 You and your partner have to be able to give each other negative feedback without it turning into World War III. If you scare him into never criticizing you, you can kiss any real sense of connection goodbye. Why? 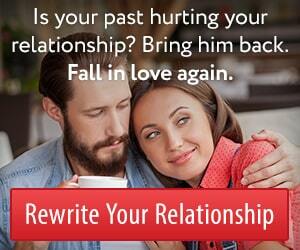 Because he’ll bottle things up instead of clearing them up. When you care about a person, even negative feedback can be a form of investment in the future of the relationship. Second, there’s almost always at least a grain of truth in criticism. It may only be a small truth–maybe your intent was good, but your execution poor. Whatever the case, when someone you love brings critical feedback, there’s often something for you to learn. I suggest you put a core psychological principle to work in your favor. I saw a study a while back that found that we admire people more and think they’re smart when they listen to us, taking our advice. Deep down inside, we all believe that if someone else can see our point of view, they must be pretty intelligent. Most of us fear the opposite. We’re afraid of letting someone prove their point. We think it makes us look dumb. Well, according to research on how humans think, the opposite happens. They think we are smart and they admire us more when they can convince us of something. So look for what you can agree with. You don’t have to validate all of the criticism. Maybe you focus on one small element of it. Just find the part you can agree with and tell him he’s right about that. Then take the advice of another ancient philosopher, Socrates. “The secret of change is to focus all your energy not on fighting the old but on building the new.” Don’t waste time arguing. Focus on what you both want for the future. When you do that, your partner’s whole demeanor will change. He’ll be warm and glowing before you know it. After all, you’ve complimented him by agreeing with him, even if you didn’t agree with everything he said. 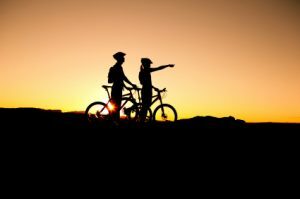 That will give the two of you a fresh start, pulling you closer together. In my opinion, holding up well under criticism is one of the hardest things to do. It’s also a great triumph for your relationship. This entry was posted in Communication, Relationships and tagged handling criticism by James Bauer. Bookmark the permalink. I have’nt told you before this. Please keep up your advice !